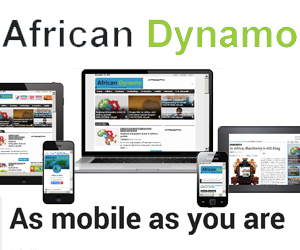 African Dynamo began as a simple blog. I started the site back in August to share what I believe is one of my true gifts in writing, and to engage the growing community of Africans who see a great future for the continent. Over the last few months, I've had the great pleasure of watching our site's audience grow from just a few of my good friends, to hundreds of daily readers and fans on facebook, twitter, google+, reddit and many other social networks. Today, I'm happy to announce that African Dynamo is primed and ready for the next wave of users. Yes, I'm bragging. But I think readers will love the new site.